We recently received an email from one of our customers saying someone told her she needed to do a backup of her computer but she didn’t know how. There are many paid services to get this done but they can be costly and many times overkill for what the average person needs. I recently posted "Backing up photos for free" that gives a step by step guide to backing up your important photos. Here we will show a step by step guide to backing up those important files you need without costing you a dime! To store your photos and files for free we recommend using Google. It’s free to have a Google account and they give you 15gb of free storage space just for having one. If you don’t already one Create A Google Account. If you already have one that’s great, if not you’ll need to create one. For help with how to create a Google account click the link “Create A Google Account” at the beginning of this sentence. 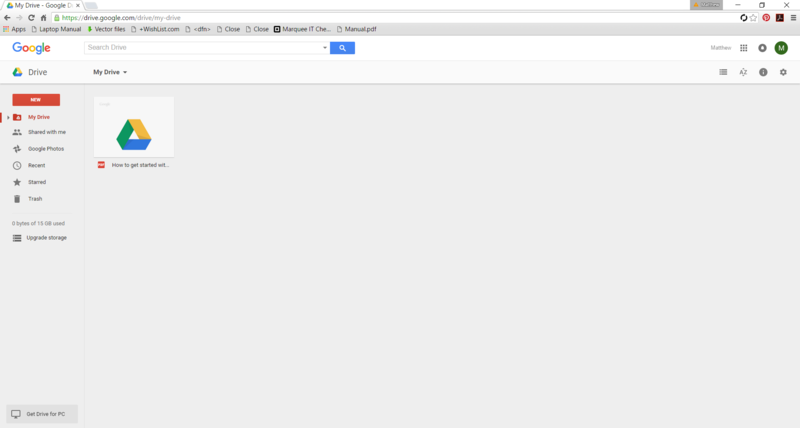 Next locate the 9 small boxes that contain the Google apps and click on it. You will get a drop down menu that looks something like picture below. 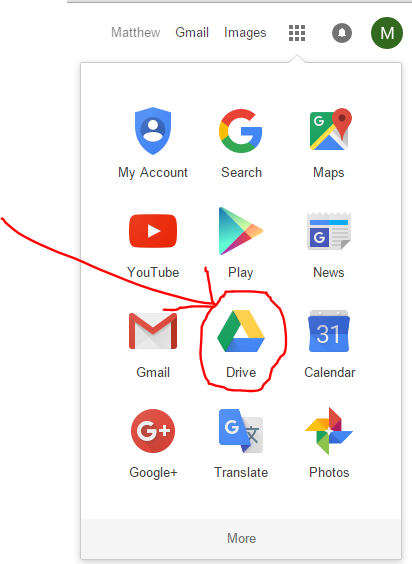 You want to locate and click on the “Drive” app. Once you open the Drive app you may have a quick tutorial if it's your first time here. Go through the tutorial until you see a screen like the one below. You will have a PDF file already in your drive called "How to get started with Drive". This is a great little tutorial from Google that you should probably go through if you are unfamiliar with cloud backup. On the left you'll notice some different options. My Drive, Shared with Me, Google Photos and some others. We won't worry about any of these right now, but get right to the good stuff. How do you back up your files? To find out how move on to step 6. 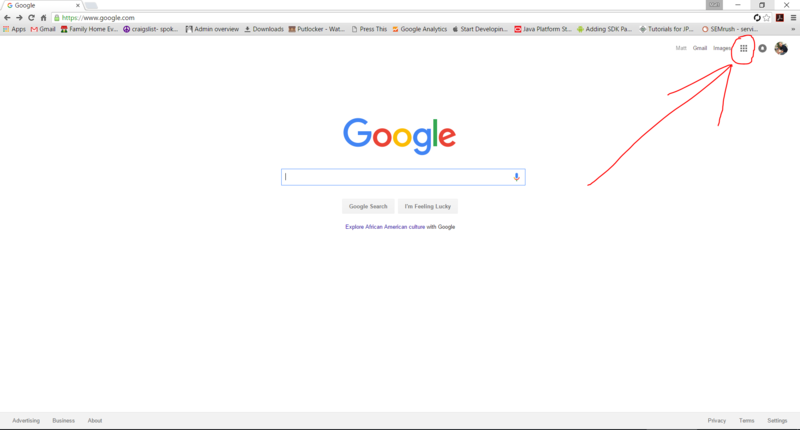 Google makes it super easy to back up your files all you have to do is find the file or folder of files you want to back up and simply drag and drop it onto the open space in your browser. It's that simple! You'll get a screen something like the one below and down in the bottom right hand corner you'll get a notification saying the file is uploading and when it's completed. That's it! You should now see a new folder in your drive by the same name as the folder you uploaded if you uploaded a folder or a new single file if you uploaded the file. You will be able to access it from now on even if your computer crashes and you lose your system entirely. 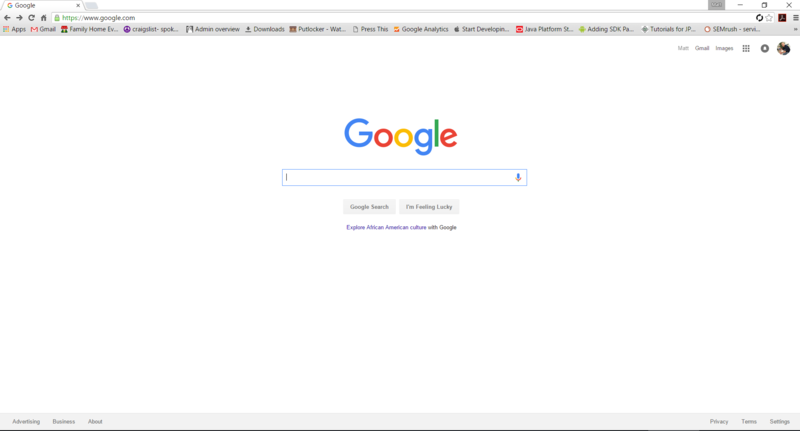 All you need to do is log into google from any computer with an internet connection and go to your drive.